4th No Salavage, Theft, flood or stolen history can exist. For the buy it now price posted KKRVS will include brand new tires. any less price offered and accepted will NOT include brand new tires. KKRVS welcomes trades. With this said we do ask when considering doing trade with KKRVS diamond line rvs they typically have much higher NADA values than our asking price. With that said we will generally let nada set the trade value difference. At the time of the listing the generator is in working condition. Please take moment and review the 100 plus pictures. We try to take pictures of everyside of the RV, including the underside carriage. Please call us, if you need to know something, 866 381 4279. The carpet looks good as you can see in the pictures. It is possible some stains might be here or there, but nothing to really be concerned about, please keep in mind it is used. When an appointment is made to pick up your item, Karolina Koaches will have your item powered up so you can feel confident that the coach functions as described in this ebay ad. All that we request is 48 hour notice so we can have your item ready for your arrival. I do not think you would have any trouble although can NOT guarantee anything. I now feel that have described this coach bad. would rather you to be happy and satisified than disappointed when you arrive. View More Details	View More Details	If you have negative or zero feedback we may try to contact you to verify that you are real bidder. If we can not contact you we WILL cancel your bid. We require $500 non refundable down payment within day/ 24 hours of winning the auction, even on holiday weekends, since paypal is always open. Once the down payment has been received we will be happy to schedule an appointment for the pickup of your new item. Down payments are non refundable. The down payment is due PRIOR to pickup or within 24 hours, whichever comes first ,the downpayment is not to be made in person. If you fail to send the down payment prior to arrival we reserve the right to NOT sell the item to you. This is ebay, the prices are cheap, you do NOT get retail experience because you are not paying retail price. If you do not follow our payment terms we reserve the right to NOT sell the item to you. Future Buyers: The above item is being sold "as-is" with no guarantees written or implied unless you are purchasing one of our new units which we will list in the description as having warranty. Unless we state warranty there is NO warranty. We ask all ebayers to view, and have the above unit inspected by mechanic of your choice at your expense prior to the winning bid. The mechanic must inspect the unit at Karolina's location. At Karolina Koaches we ask that you realize that you are purchasing used Motorhome, 5th-Wheel or tow behind trailer, in many cases for lot less than retail. Just like any pre-owned vehicle there will be some dings, nicks, chips, scratches, fading and or peeling of the stripes and graphics and of course some normal wear and tear. We try our best to describe our units in detail. Small items such as remotes, TV or key fob, floor mats, extra keys and cd cartridges may be missing, even though no stated as missing. If there is something that you do not agree or understand, please CALL or email us prior to bidding. You must be pre-approved by your lending institution prior to bidding. NADA Book values, lengths of units, names, and model numbers are point of reference only, it is the buyers responsibility to verify their purchase PRIOR to the departure of your item from Karolina Koaches. The balance is due within days following the auction end or upon taking delivery, whichever comes first. If the balance is not paid in full within days then additional fees will be incurred, or we may refuse to sell the item. Please note that unit must be paid in full in order to have it delivered to you. We offer $100 discount, please ask us!! All buyers that reside out of the United Sates must pay by bank wire transfer or cash (in person) prior to the coach leaving our property. In some cases there may be slight delay for title. When purchasing one of our items via eBay you agree that the venue for any legal proceedings will be in the County of Anderson South Carolina. MECHANICAL: We work on and repair most mechanical functions with our coaches. But, due to stringent State and Federal regulations, we are not set up to repair or maintain dash A/C units. Thus we do NOT guarantee that any dash A/C units work. ALL A/C components are "AS IS".. Most do work, but we will NOT be responsible for repairing of maintaining dash A/C components. Also, we do not guarantee the following (if installed) will operate: 1) satellite systems 2) security systems 3) non-factory add-ons 4) we cannot guarantee tire life or wear 5) cruise control 6) spare tires are optional and are NOT standard equipment. ADVERTISING ERRORS: Please be aware that we are NOT PERFECT. We go to great lengths to make sure our ads are correct, BUT occasionally we do make mistake. If you do not see it in the picture, then it probably is NOT an option on the vehicle. If you do not see floor mats, then the vehicle probably does not have them. If we do not mention keyless entry, then we most likely do not have the keyless remote even though the vehicle might have had one when new. If you are unsure about an option, then please e-mail me and will confirm if it has that option. SHIPPING: All sales are "AS IS, WHERE IS" but we can gladly assist with shipping arrangements. Shipping is only available after the item is PAID IN FULL. On all RVs especially older models there is almost always some delamation. If you can not pay the final balance within business days we will not sell the unit for the bid price. If you do NOT pay the full amount within days we reserve the right to NOT sell the item and keep the $500 deposit. We do offer $100 store credit AFTER the $295 eBay auction Fee is paid. In order to receive the $100 store credit, the entire balance must be paid within 48 hours of the end of the auction. Odometer Mile: Please be aware that FEDERAL LAW says that ALL motorhome sales of vehicles that are over 16,000 lbs are considered MILES EXEMPT. This means that the miles that read on the odometer are not guaranteed. This is NOT my rule or my method. have nothing to do with this law. THIS IS FEDERAL LAW. What it does mean is that while the miles shown are NORMALLY correct, do NOT guarantee it. How could possibly know the complete history of 10-15 year old vehicle that have only owned for very short time? On vehicles 10 years old or older the titles can be labeled exempt for miles. I do NOT accept PayPal for final payment, PayPal is for deposit only. Karolina Koaches Inc is the camping and recreational vehicle enthusiast's low price leader for everything they need to enjoy using their RV. 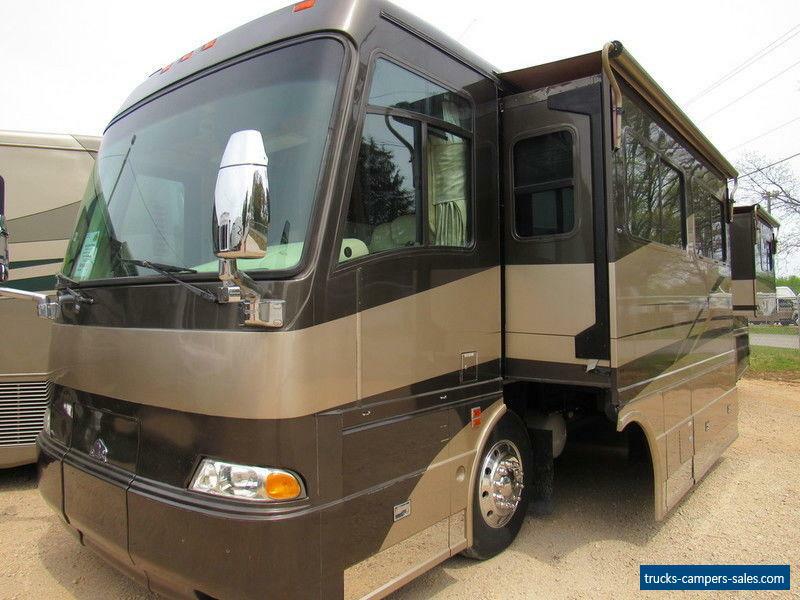 Along with an RV parts and accessories showroom,we also offer fair selection of new and used RVs for sale; RV service; affordable RV rentals (Class A's), technical advice from people with experience; and hard-to-find parts. Founded in 2004, Karolina Koaches has grown from tiny backyard business in Anderson SC to the Carolina's number one low price leader and retailer of Used RVs and RV accessories. 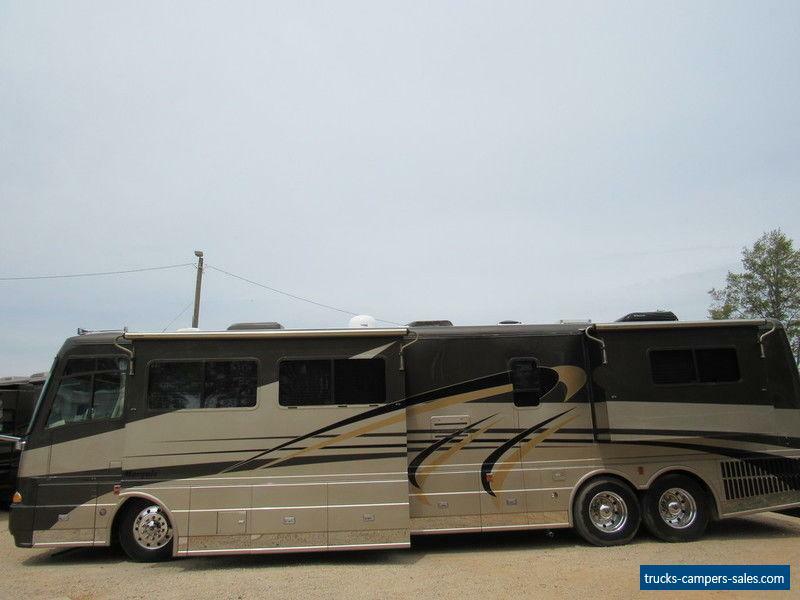 With 100% feedback on eBay we are uniquely positioned to serve the needs of camping and RVing families, whether they enjoy weekends outdoors in pop-up trailer or live full-time in custom coach. Our growing network of products and services provides campers and RVers the security of trusted, established name to turn to when they are ready to buy or trade their RV; when they need service, repair or just someone to talk to; when they want to find ways to make travel more convenient or affordable, and when they need specialized accessories designed for the RV and outdoor lifestyle. If we dont have it we will point them in the right direction. Visit karolinakoaches.com, kkrvs.com or call us 1-866-381-4279 and tell us how we can improve your experience with us and make RVing, tailgating and camping even more fun for your family. We try hard to make all buyers happy. We believe it is better to under promise and over deliver. We have worked hard to maintain our GREAT feedback rating. We have over 1300 completed transactions on ebay. In 2008, we sold over 350 units in supposedly the worst economy that we have seen in long time. We are selling so many units because we are selling them soo cheap. This should give you confidence that we operate legitimate business.